Worlds Of Pain: Check out the Wolfpack Authors! Check out the Wolfpack Authors! Getting the word out about Zombie Complex is one of the biggest challenges I face as an independent author. I simply don't have the budget for extensive advertising and great graphics. But, I do have a growing network of readers like you and fellow authors. I've recently found a group that you should check out: the WolfPack Authors. The WolfPack Authors are a group of indie authors that have banded together to promote their writing efforts. They represent many genres from mysteries to monsters to science fiction and fantasy to thrillers and hot, hot, erotica. 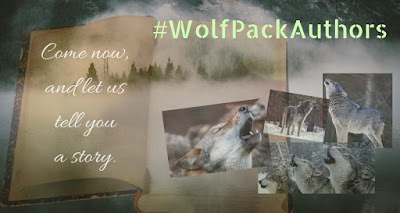 If you'd like to find them, simply search on the twitter hashtag: #WolfPackAuthors. You can also find them in the Wolves' Den section of the FauphTalk Fiction website.